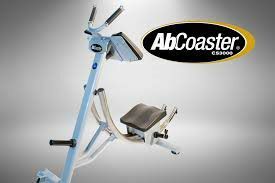 The flagship product of the Ab Coaster Commercial Series product line features stainless steel rails for an ultra-smooth ride, adjustable hand grips, and a free-style motion seat – perfect for high-volume commercial fitness centers & athletic training facilities. Unlike traditional crunches, the Ab Coaster works your abs from the “bottom up,” while limiting stress to your neck, back and shoulders. The Ab Coaster CS3000 combines the simplicity of the ab crunch with the effectiveness of the hanging leg raise. The curved track mimics natural spinal flexion, allowing anyone to perform an abdominal lift in perfect form, regardless of fitness level. The Ab Coaster CS3000 promotes core stabilization while exercising the abdominals through a full range of motion. The ergonomic carriage places you in a comfortable kneeling position, isolating the abdominal region and virtually eliminating any hip flexor involvement.